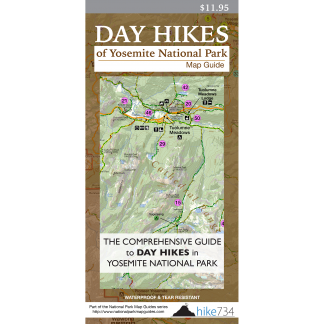 This loop explores the central portion of Yosemite Valley traveling through forest and meadows. Start at the Lower Yosemite Fall shuttle stop (#6), and visit the base of these amazing falls (see Lower Yosemite Fall) before heading west through the forest along the Valley Loop Trail. The trail passes Camp 4 before crossing the road and following along the river with open meadows. Stay to left and cross over the El Capitan Bridge, then through the forest where it crosses the road and joins back up with the Valley Loop Trail. Take a left where the trail spends much of its time along the south edge of the valley through the airy forests with occasional views both up and across the valley. 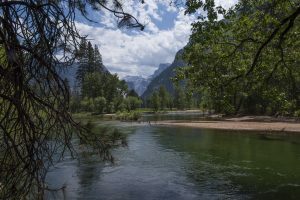 Trailhead: While there is no official trailhead for this loop, a good place to begin is at the Lower Yosemite Falls shuttle stop.